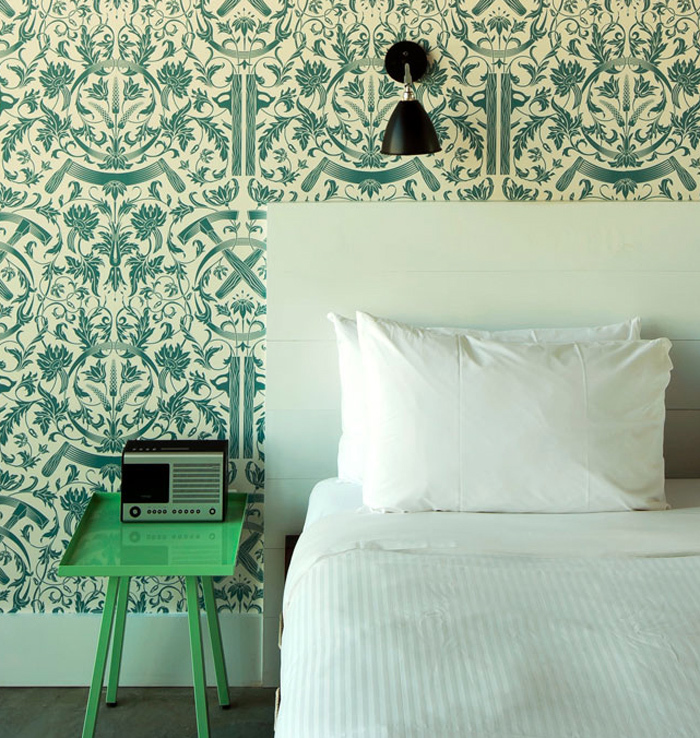 I came across the Wythe Hotel today on Pinterest and immediately knew I had to include it in a Hotel Style post. 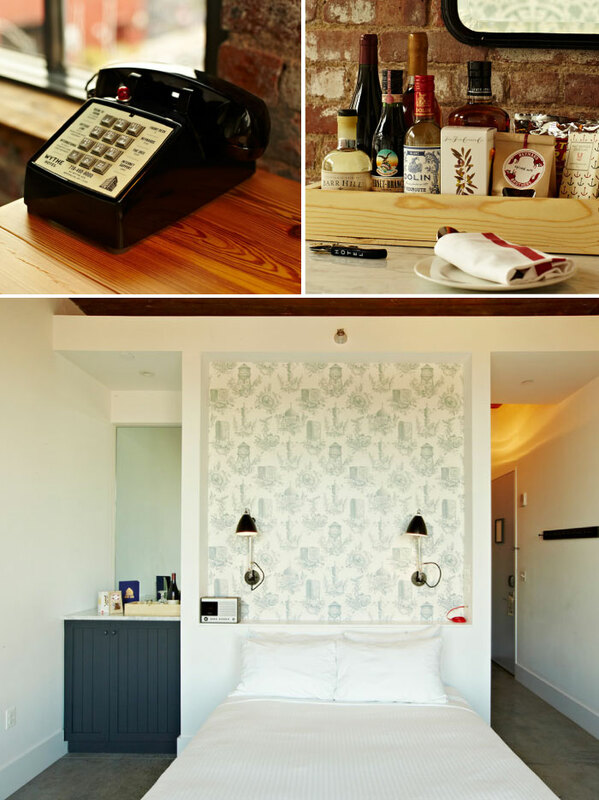 Located in Brooklyn, the Wythe Hotel started with the discovery of a factory on the Williamsburg waterfront that was constructed in 1901 and since has been converted into a 72-room hotel topped with a giant glass cube that lets onto an open-air bar. My favorite part is the turquoise powder coated bedside tables complete with radio. See more images below. 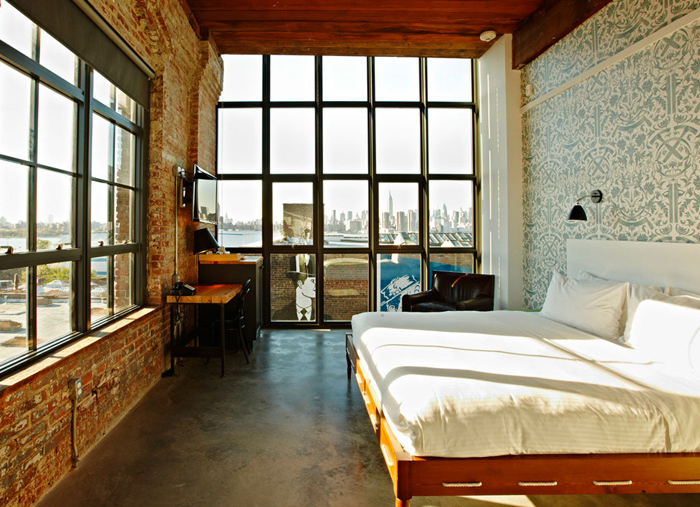 The Wythe Hotel is located at 80 Wythe Ave. at N. 11th Williamsburg, Brooklyn, NY 11249. 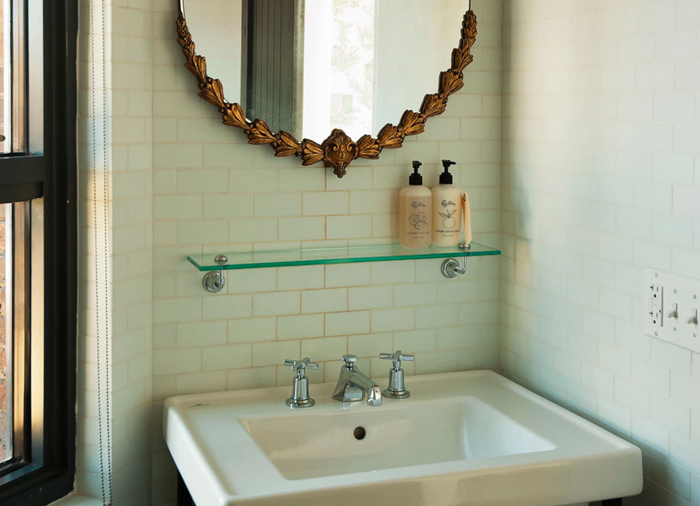 Visit it online at wythehotel.com. This hotel looks amazing! 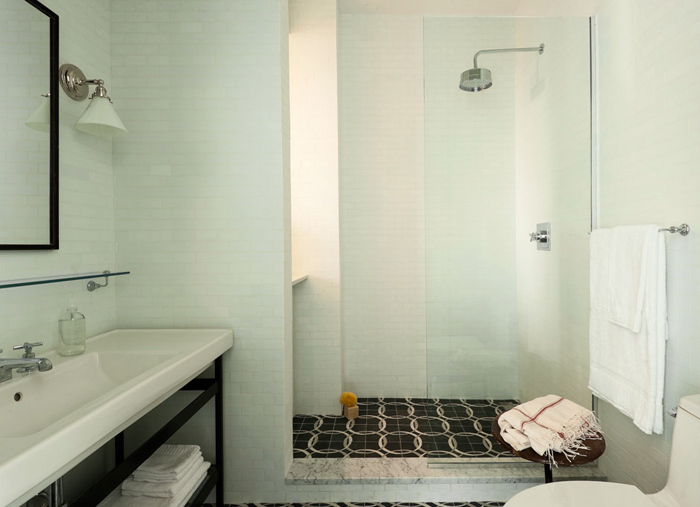 My jaw dropped when I saw the gorgeous windows, brick, and cement floors of that bedroom with a view! Love it! 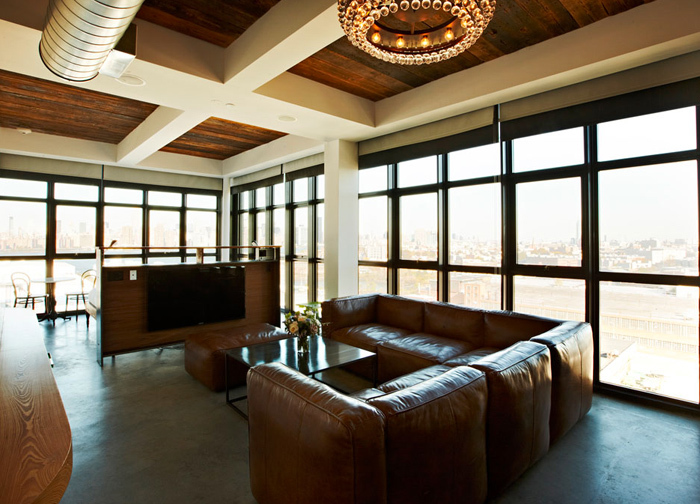 wow those windows and light. nice space. I live two blocks from here and the rooftop bar is incredible. 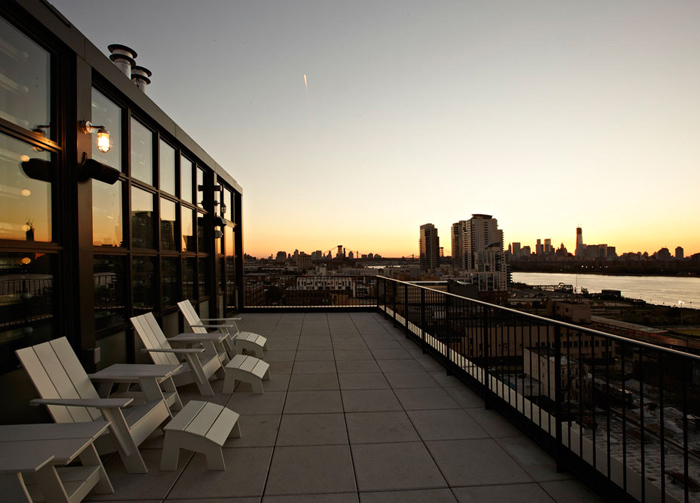 The views of Manhattan and Brooklyn are stunning and it's pretty trendy at the moment. Although I hear the restuarant is not the best place to eat in the neighborhood (I'd recommend Rye). Wow! That looks like a lovely place to stay! I love the large windows. Lovely place to stay and it is the perfect place for spending holidays with families or friends. Hi Poppytalk! My name is Sawyer and I just wanted to let you know that the nightstands are made by my company, SAW (www.SAWfurniture.com). 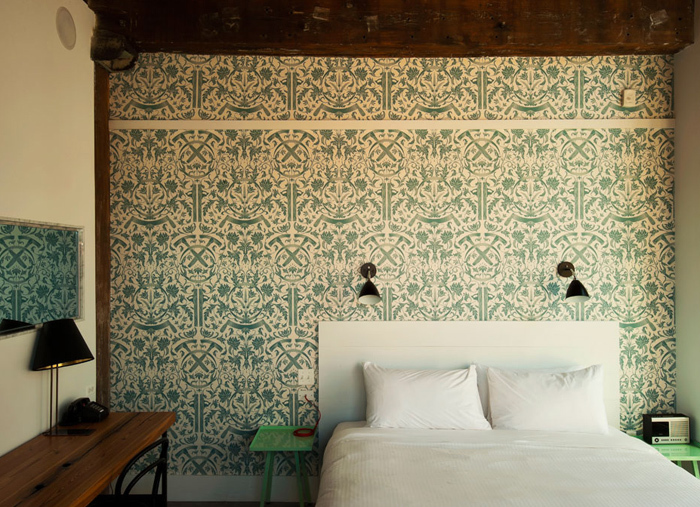 Thanks for writing up the Wythe Hotel!